Donkey Kong Country Returns. Donkey Kong Country Returns سے طرف کی TheTitan99. 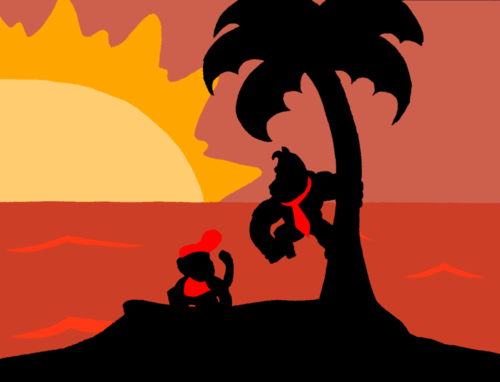 Wallpaper and background images in the Nintendo club tagged: nintendo nintendo characters donkey kong donkey kong country returns. This Nintendo fan art might contain سٹریٹ, شہر منظر, شہری ماحول, گلی, شہر ديکھا, شہری سیٹنگ, سائن ان کریں, پوسٹر, متن, چاکبورڈ, نشانی, and تختۂ چاک.